Tailor Made is the art of personal elegance. It begins simply enough, with a chat over coffee. 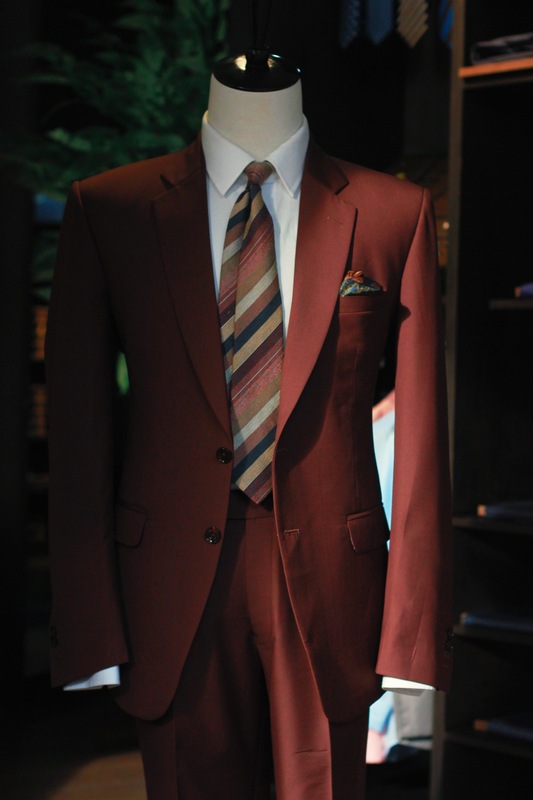 During this appointment, we'll discuss your preferred style, favored cloth and essential details. Naturally, you'll be measured and some initial designs will be created. Only when you're completely happy and have confirmed your choice will we set to work and the tailor made process begins. First, a paper pattern is made and laid over the cloth. A highly trained and experienced cutter then hand cuts the various pieces before handing them to our master tailor. From here a baste, or hand sewn and tacked garment is formed to create the skeleton shape. At this point, you will be invited to attend your first fitting. Here and necessary adjustments can be made before the baste is painstakingly transformed into the final garment. A second fitting allows you and the tailor to assess the comfort and feel of the finished item. This is done at the time and location that is most convenient for you. Further fittings may be required and it is only when you are entirely satisfied that the suit is perfect, will we consider it finished.